I definitely do have a love affair with Butter London nail polishes. So when I found out that they were buy one, get one free at Ulta this past Monday, I knew I was going to make a run to my local store. I had a few Butter London’s in mind for what I wanted to get, but in the end I only picked up two. I knew for sure that I was going to get one polish, which I’m saving for a later post, but the other one was up in the air. For the free polish, I had Royal Navy, Trustafurian, British Racing Green, Aston and All Hail the Queen in my hands and honestly almost bought all of them. But as some of you will see, I’ve been polish shopping like crazy and I really tried to limit myself. I was about to leave the Butter London display with Royal Navy as my second pick, until I saw this gem that was on a separate stand paired with all the Butter London Lippy’s (their lip gloss line that correspond with certain nail polishes). I snatched this up on a whim and am so glad I did. Butter London “Toff” is a dusty rose/purple/mauve/brown creme. Can I pick more colors to describe this polish? It definitely has all of those colors in there! This came out in their fall collection last year, and I had no interest whatsoever. It seemed so grandma to me. Well maybe I’m starting to turn into a grandma (although I have no kids), but I really was drawn to this polish. It is so sophisticated and timeless to me! I like that its darker, making it less “grandma”, but also that it is feminine quality (like Essie “Lady Like”) that I feel like could transfer to every season. Its appropriate for work but still could be a perfect fall polish. The formula also was close to perfect! This is just 1 coat! It definitely could have used 2 though. It is completely opaque but on a few nails there are some bald spots near the cuticles that I didn’t notice when I was painting my nails at night. Its more apparent on my non-swatching hand. It dried really quickly and evened out perfectly on the nails. Can you guys tell I’m in love! This polish definitely lives up to my Butter London expectations and you totally get what you pay for with this one. What do you guys think? 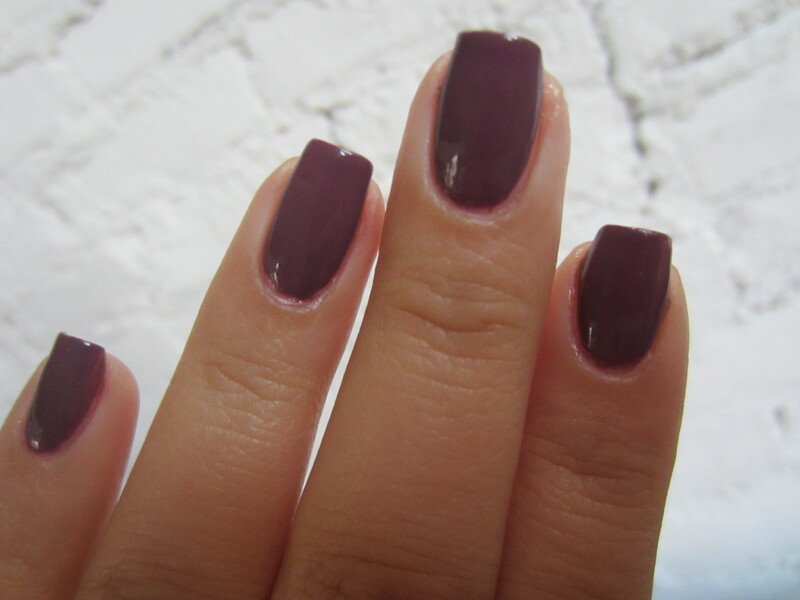 Do you think its a grandma color or feminine and perfect for fall? Would you rock this polish? ← Favorite Blue Polishes of ALL TIME!! great shade! It’s not too autumn so it doesn’t look dull. looks super glossy too! This is so freaking gorgeous!!! it is going on a wishlist for sure!!! i am going to bet, when you have friends come over to paint their nails, this is definitely going to be a HUGE favourite! aww thanks! and although this polish isn’t the most super unique the formula makes it worth it! Absolutely gorgeous! I don’t have anything similar to this either, I will have it to add it to my wish list!